We are one amongst the leading Exporters, who manufacture Woven Patches such as Chenille Patches, Letter Patch, Number Patch, Mascots Chenille Patch from Greater Noida. These patches are offered in variety of designs & color combinations and are rich in quality. With our wide industry experience of this domain, we are offering Unique auto Woven Patches that are available in varied colour combinations. These are intricately designed by our expert craftsman in exclusive designs and patterns.We offer these at industry leading prices to our customers. aplicable on jackets,t shirts etc. We provide our customers, Woven that is manufactured using superior quality felt. Neat stitching, perfect finish and intricate designs are some of the features of these patches because of which these are highly demanded and are appreciated by our customers. We offer an ample range of Chenille Woven Patches in attractive patterns, multiple colors and exclusive designs. 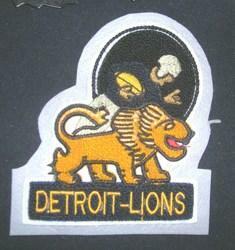 Our highly skilled craftsmen use the best quality looms to manufacture these patches. Our chenille patches accentuate the appeal of the jackets and sweaters these are applied to. We offer these at industry leading prices to our customers. Packaging Details: packed in polybag with box. Our Number Patch stand out for their intricate design, precise stitching, fine detailing and bright colors. The designing and colors, all are in accordance with the taste of the young. Creative and groovy, the patches are attractive and capable of adding a dash to the apparel or accessory they are added to. 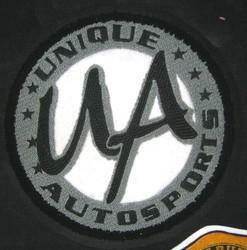 We provide our customers, patches that is manufactured using superior quality felt. Neat stitching, perfect finish and intricate designs are some of the features of these patches because of which these are highly demanded and are appreciated by our customers. To meet the varied requirements of our customers, we are able to custom design our range as per the specifications mentioned by our esteemed customers. Packaging Details: PACKED IN CELFIN POLY BAG WITH BOX. 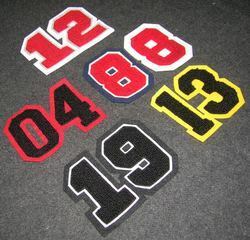 Manufactured using high quality chenille thread, the offered Number Patch are crafted by our professionals in a unique pattern. To ensure customer satisfaction, we are able to custom design our patches as per the specifications mentioned by our esteemed customers. Also, these patches are available in different colours and are offered at industry leading prices. Packaging Details: packed in boxes. With our wide industry experience of this domain, we are offering Woven Patches that are available in varied colour combinations. These are intricately designed by our expert craftsman in exclusive designs and patterns. The patches are made of superior quality leather and are in great demand by our customers for their perfect finish and neat stitching. 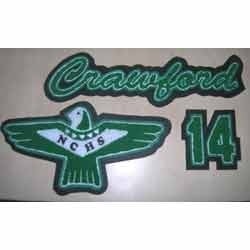 We are involved in the manufacturing of Woven Green Patch that are the best accessory to enhance the look of your varsity jackets and sweaters. These patches are made of high quality cotton loom extracted from 100 percent natural cotton. The whole range of our chenille patches includes attractive designs and patterns. These patches are available in graphics.